With a Walk Score of 100, and Rider and Biker Scores of 91, this is a totally accessible residential location. Everything you need is within a 20-minute walk, 5-minute car trek, or 10-minute bike or transit ride, MAX. 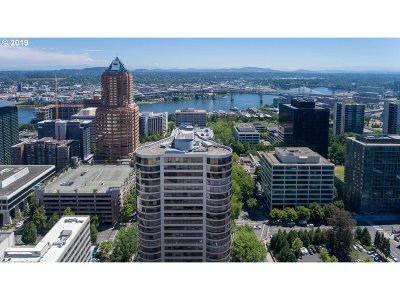 Highly desired, rare oversized unit w/possible 3rd bedroom & 2 parking spaces! Updated & ideally situated w/views of West Hills & City. Fantastic custom built-ins for personal library or valuable collections. Tons of possibilities for home office/media room or guest bedroom. 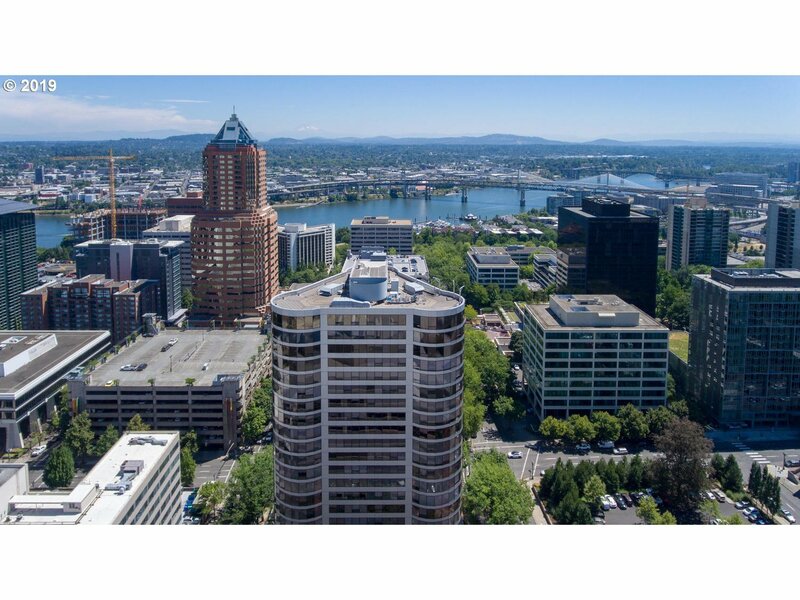 Multi-million dollar upgrades of this iconic building completed last year- settle in now and experience "Portland's Best Condo Backyard" this spring!